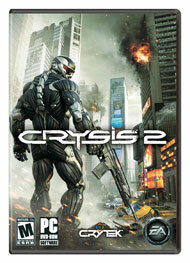 Crysis 2 has received stunning reviews. Who would’ve thought that they would have been able to make such a solid sequel and it runs better than the previous game! …well mostly. Those of you who are receiving errors and have crashes in Crysis 2 should see our list of error fixes. You can view our Crysis 2 Game Fixes for Crashes, Freezing, DC’s, Lag, Errors, and Graphical Glitches here. Now go save the world with you latest, most advanced Nano Suit. New York is counting on you. Look for future FPS Tests from us when we get hold of the GTX 590 or 6990.